Something that I LOVE whether it be 40 degrees or 105 degrees outside is a yummy smoothie, blended frappaccino or chocolatey milkshake. Well those three things are not synonymous with “weight loss journey” so I have learned to improvise. I drink Protein Shakes!! I use my shakes as a tool. For one, it gives me the added protein I need in my diet for my muscles and bones and greatly helps keep my blood sugars healthy. Before I began to lose weight I was severely hypoglycemic. It was very scary as I had a few very close calls with low blood sugar. Now that I have lost 78 lbs. (and counting) those symptoms have completely disappeared. What I realized in those times of distress with low blood sugar was that protein was key in helping to regulate my blood sugar. According to WebMD (and my own experiences) … “researched showed that a high-protein diet combined with exercise enhanced weight and fat loss and improved blood fat levels. Researchers suggest that higher-protein diets help people better control their appetites and calorie intake”. I have found that a high protein diet for me helps me to stay satisfied and full for longer periods of time and have fewer cravings throughout my day. A big part of my protein comes from my Protein Shakes. In addition to my shakes I always try to incorporate two servings of lean meat protein each day, usually chicken. My trainer has me eat a minimum of 105 grams of protein per day, but I usually try to consume 120 – 130 grams protein. It’s hard to get all that protein in my normal foods, so I use my shakes as a great source of protein. There are two products on the market that I absolutely love: Beachbody’s Shakeology and MRM Whey Protein. Shakeology has 18 grams of protein and so does MRM Whey Protein. I add a 1/2 scoop of the MRM to my Shakeology shakes when I want extra protein which I also use to get my fix for those drinks I obviously cannot have right now, at least if I want to stay within my calorie limits. Besides the Amazing nutrition in Shakeology, the flavor and texture makes me feel like I’m cheating with every shake and has boosted my weight-loss. Here are some of the ingredients I add to my daily shakes. With the above add-ins I can get a variety of flavors depending on the mood I’m in. And trust me when I tell you it’s like I am CHEATING!! I always blend my shakes in a Magic Bullet so they are thick and cold and creamy and ready to drink instantly. My favorite Protein Shake was MRM whey protein until I found Shakeology!! 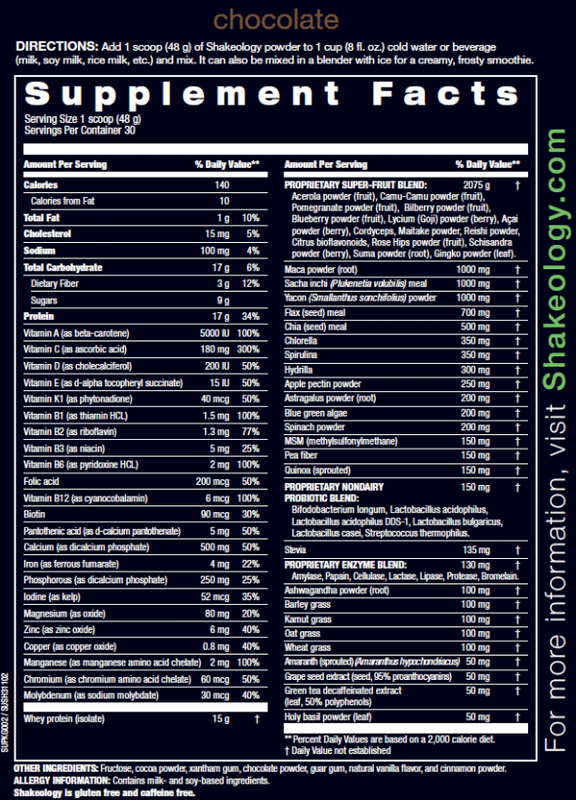 The flavor of Shakeology is outstanding and the nutritional benefits are off the charts!! As a meal replacement, which is what Shakeology is best for, it has helped boost my weight loss and energy like nothing else has. I add the MRM Whey to my shakeology to give me added protein. Here is what my great shakes look like: (1 scoop Shakeology, 1/2 scoop MRM, 1/4 cup Blueberries, 1 C Ice, 2 TBS FF Greek Yogurt, 2 TBS PB2) 216 Calories.